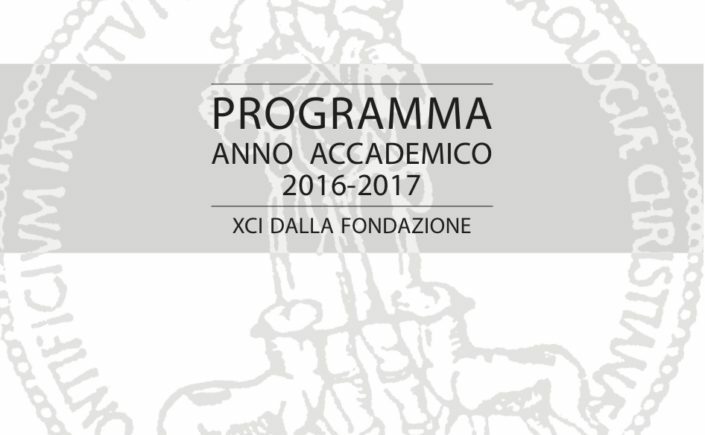 The Pontifical Institute of Christian Archaeology 2016-2017 program of studies is at this link. The publication has information about degree and course credit options for studies in archaeology and related disciplines. 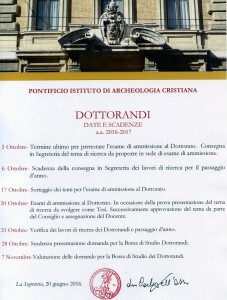 Scholarships are offered for the Masters and Doctoral degrees in Christian Archaeology. The deadline to register for the entrance examinations for the doctoral degree is October 3, 2016, the same day that registration opens for other PIAC programs (see attached flyer).